A lot of names come and go in the name of golf. However, the few names that stick around are usually due to major contributions that person had on the game of golf. 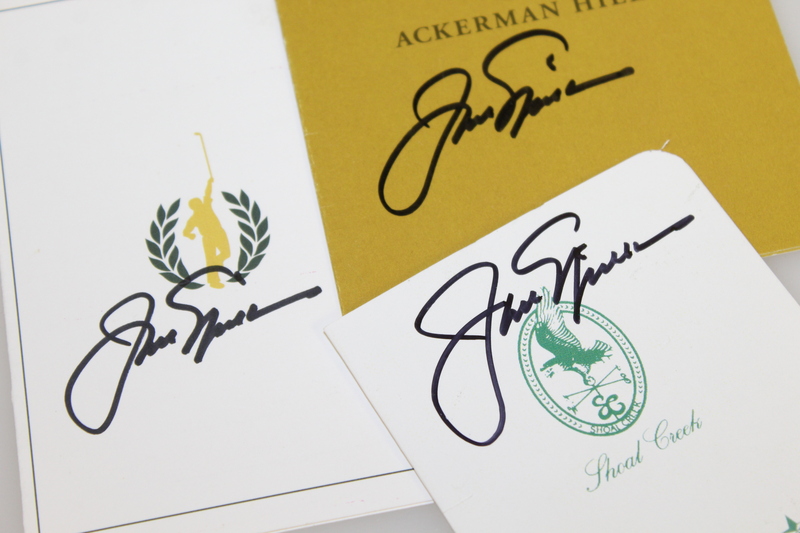 Jack Nicklaus is an example of one of the name that will forever be associated with the game of golf. 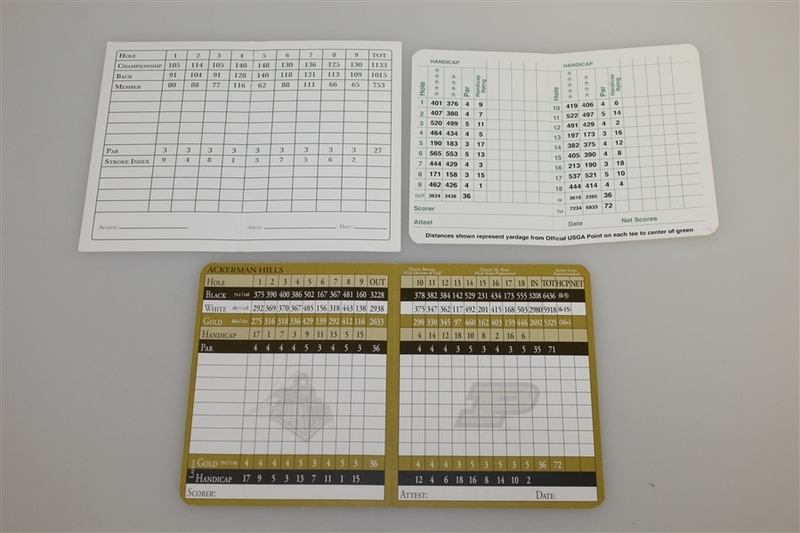 This lot features three personally signed scorecards; one from Shaol Creek, one from the Memorial Tournament at Muirfield Village Golf Club, and one from Ackerman Hills. These three courses have been impacted by Nicklaus in some way or another. Shaol Creek is one of his signature courses that he designed. 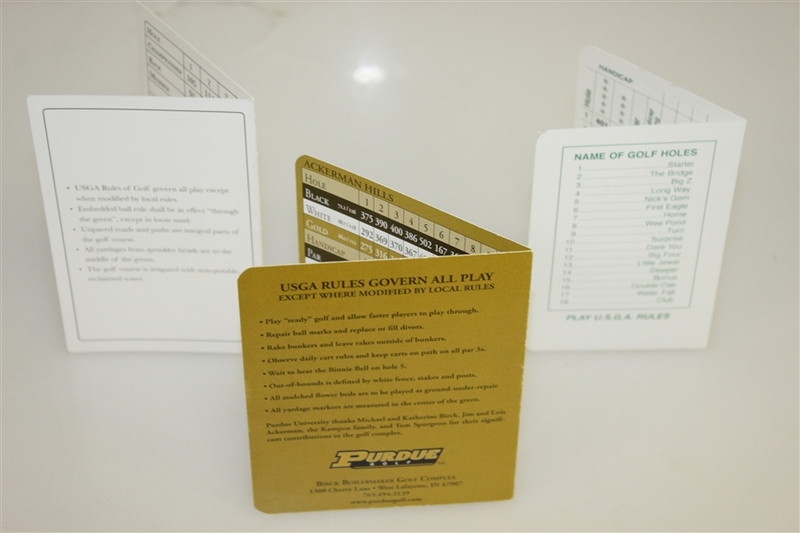 Shoal Creek has hosted to numerous PGA, USGA, and NCAA events, including the PGA Championship (1984, 1990), the U.S. Amateur (1986), and the U.S. Junior Amateur (2008). The Memorial Tournament is a PGA Tour golf tournament was founded by Jack Nicklaus. It is played on a Nicklaus-designed course at Muirfield Village Golf Club. Lastly, Ackerman Hills hosted many NCAA tournaments, but the one of most important tournaments for Jack Nicklaus was the 1961 NCAA Golf Championship when he won the individual title for Ohio State over Perdue's Mark Darnell.